On the we left Hua Hin to head for Bangkok, we had a CSR activity on the way. We stopped at Sirinath Rajini Centre for Mangrove Forest Studies in Pran Buri District of Thailand. 10 years ago, this place reportedly was an abandoned shrimp area. Today it has been converted into a learning centre for Mangrove Forest Studies. As we arrived, we were greeted by a bucket full of crabs, their claws tied with ropes. Tourists visiting the centre are briefed about the crabs and given an opportunity to release them into the mangrove forest, as a method of preserving marine creatures.The right method of how to hold, where to cut the ropes etc are demonstrated by the staff. While many visitors were scared of the crabs and their tentacles, few brave ones picked them up, cut the ropes tied to their arms and legs and released them into the forest. I assume these crabs were grown in the campus to be released once they mature, not captured ones. Apart from the crab release, a walk in the woods is equally exciting. A raised platform ensures basic safety from crabs and other reptiles below. 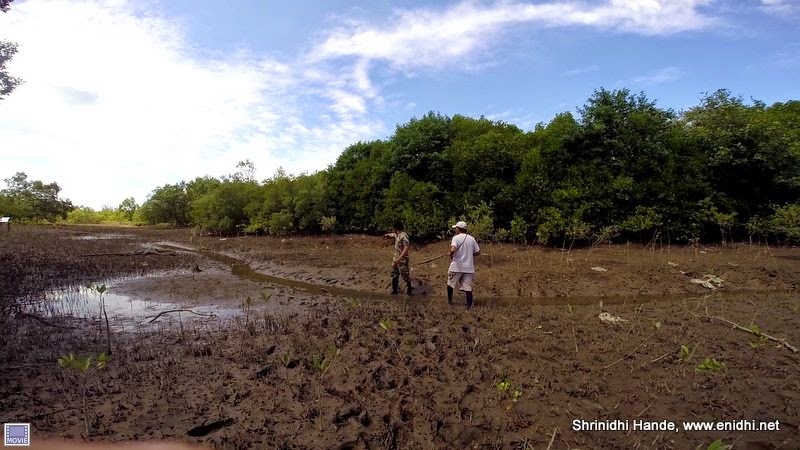 Once done with crab release, next activity was to plant some saplings in the open areas of mangrove forest. I would have preferred to go in with bare foot, but staff recommended that we wear thick stockings provided by them while we enter marshland to plant saplings. "It will be very difficult to clean later" was the explanation. Sirinath Rajini centre for Mangrove Forest studies did win 2010 award of Excellence as one of the best tourist attractions in the country. 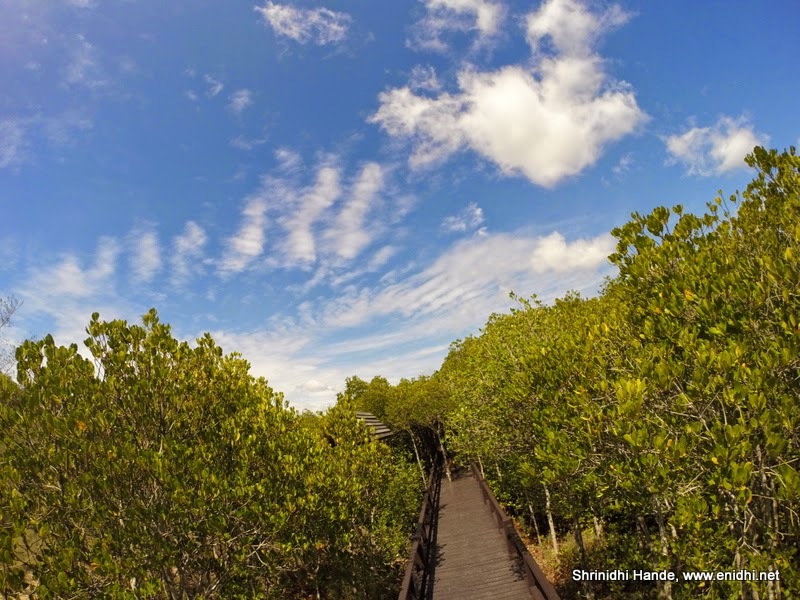 It is the only mangrove reforestation study centre in Thailand. 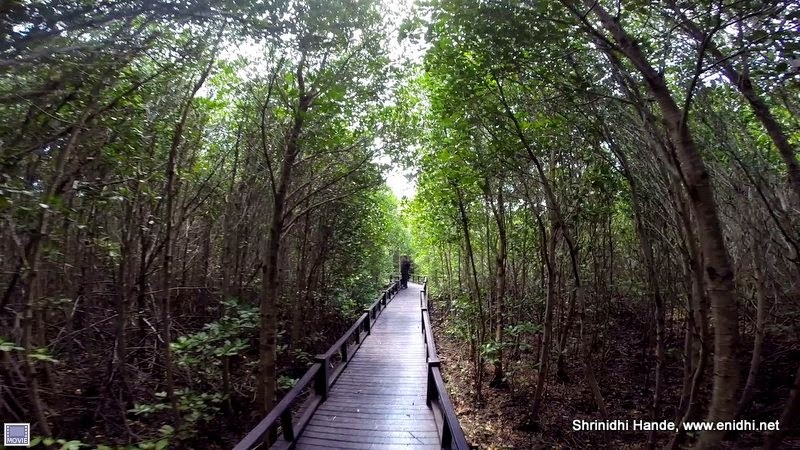 Sirinath Rajini centre for Mangrove Forest studies is located at Tambon Pak, Nam Pran Amphoe, Pran Buri, Prachuap Khiri Khan Province. This place is about 100kms from capital city Bangkok. The centre seemed very close to the ocean. We didn't have time to explore more.